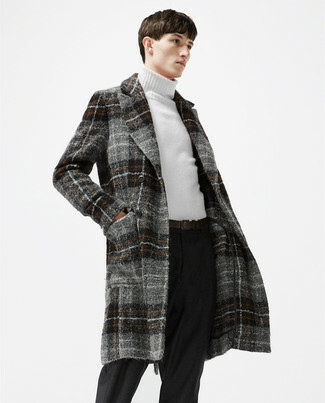 For a casually elegant outfit, rock a Paul & Joe double breasted checked coat with grey wool chinos — these items fit really well together. Rock a pair of white leather low top sneakers to make the getup current. 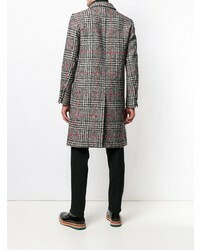 For a nothing less than incredibly stylish outfit, try teaming a Paul & Joe double breasted checked coat with black wool dress pants. 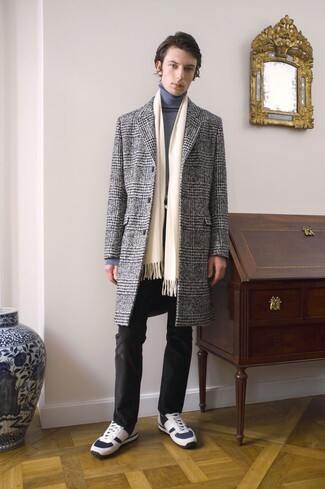 A Paul & Joe double breasted checked coat and black jeans are absolute essentials if you're planning a polished wardrobe that matches up to the highest fashion standards. Add a sportier vibe to your ensemble with white athletic shoes. 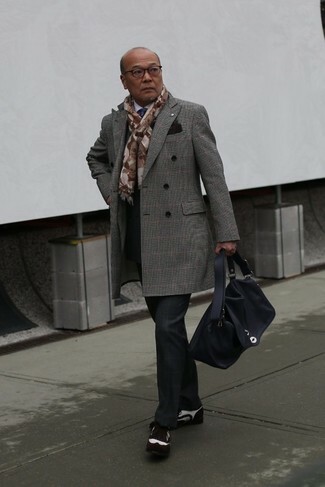 A modern man's sophisticated closet should always include such stylish essentials as a Paul & Joe double breasted checked coat and white dress pants. Add a sportier twist to your getup with black leather loafers. 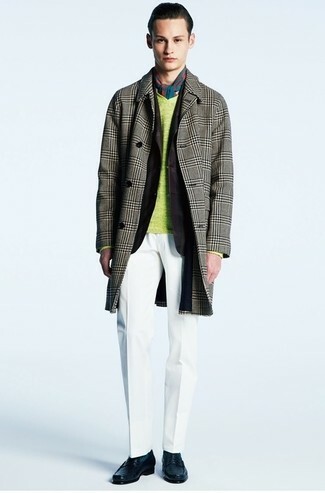 Opt for a Paul & Joe Double Breasted Checked Coat and white dress pants like a true gent. 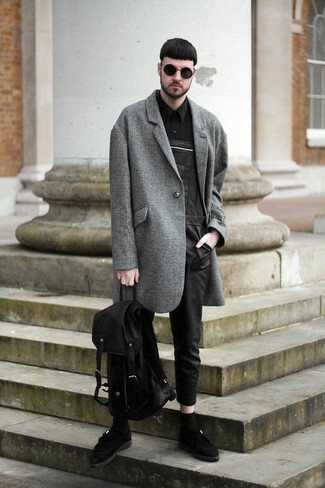 For something more on the daring side to finish off this ensemble, throw in a pair of dark brown leather derby shoes. As you can see here, ensembleing sharp doesn't take that much time. 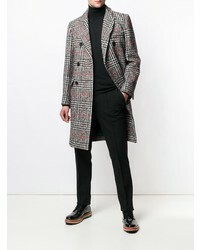 Just dress in a Paul & Joe double breasted checked coat and black jeans and you'll look awesome. 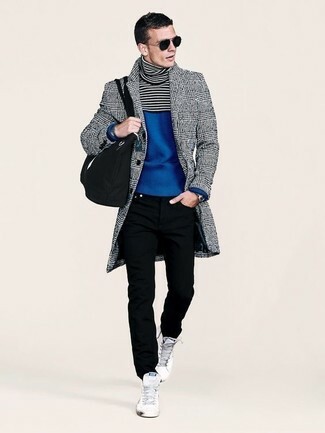 A pair of white high top sneakers brings the dressed-down touch to the ensemble. 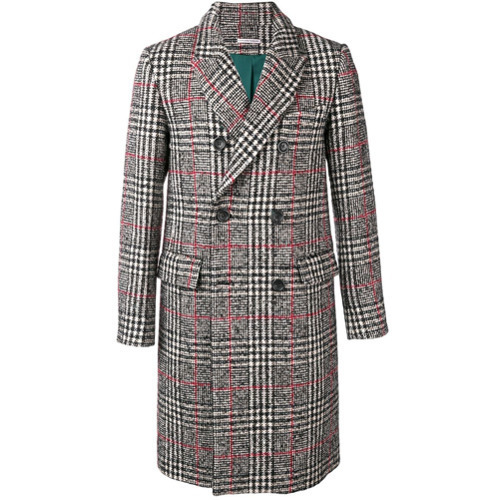 Try pairing a grey plaid overcoat with black plaid dress pants like a true gent. Make your look more fun by completing it with dark brown suede brogues. 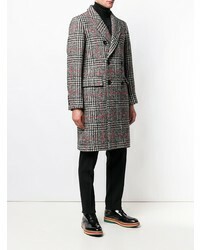 If you're hunting for a casual yet on-trend getup, wear a Paul & Joe double breasted checked coat and black overalls. Both garments are very comfortable and they also look great when worn together. Make black suede double monks your footwear choice to kick things up to the next level. 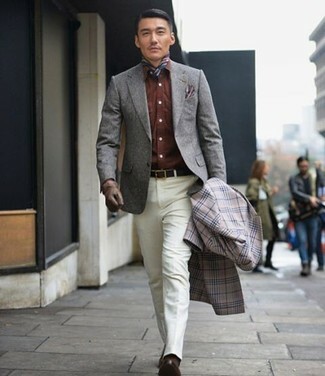 Wear a grey plaid overcoat and a brown three piece suit like a true gent.